Despite the fact that the Donetsk team have visited the South Palmira many times, with the city always having some interesting and noteworthy attractions to offer. Especially as Mircea Lucescu insists on the following: the players should see not only hotels and stadiums, but also have an idea about the places they play at. Therefore, the team walking around on the match day is a traditional practice for Shakhtar. 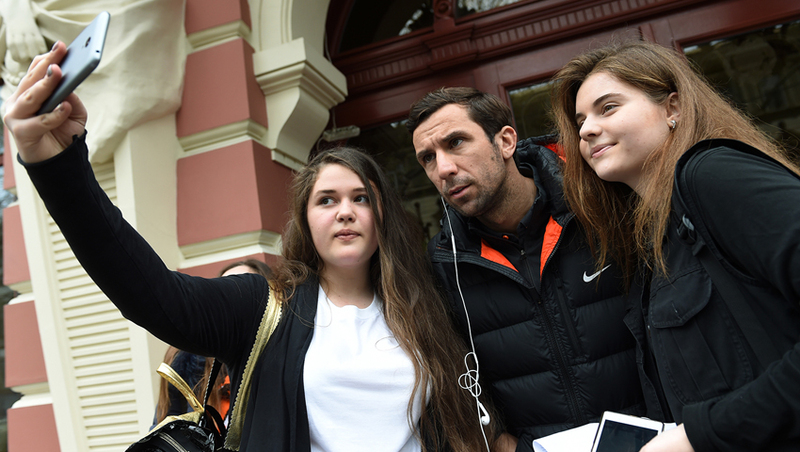 Just as elsewhere, in Odesa, the Pitmen were accompanied by their own group of fans, who asked for autographs, had pictures taken with them and wished them wins! Being recharged with positive emotions, the team returned to the hotel. The players will have a theory session, some rest and then they will go to the match venue. This is a reminder that the game kicks off at 19:30.